The biggest Camping and Caravanning shop in Cornwall, selling everything big or small, for all your holiday needs. Delicious Cornish and continental cheeses, Charcuterie olives, mouthwatering anti-pasta dishes. That’s just a taster of what you’ll find at Bellamama. Founded in 1982, Bike Chain Ricci has been trading and serving the cycling community locally and further afield for 30 years. Discover skills of the ancient tinner on the facinating journey from rock to metal. Relax and enjoy the Brooks Garden Centre experience, whether looking for a rare orchid or the perfect gift for someone special. All the stalls at Bude Farmers & Craft Market sell their own produce, ranging from food items, plants and crafts; everything is locally made, grown and produced. At Callestick Farm, we only use fresh milk from our own herd of grass fed cows and the finest ingredients, to create the true taste of Cornwall! A very popular market with producers selling seasonal fruit and vegetables, apple juice, local meat, cheese, eggs, cakes, preserves, honey, flowers and crafts. Camborne Market offers a full range of local seasonal foods and also "fix it" stalls which will repair broken items, sharpen scissors and a host of other useful services. Welcome to Carnon Downs Garden Centre, the largest in Cornwall. Situated in the pretty village of Carnon Downs near Truro, we carry a huge range of products for your garden, home and pleasure. The market has raised over £17,500 for charity since it was set up in January 2000. A little gem of a plant nursery nestled on the edge of the pretty village of St Tudy. Selling everything from local meat, bread, vegetables, cakes and preserves with refreshments available throughout the morning. Colwith Farm Distillery is delighted to offer a fun and enlightening range of distillery experiences. 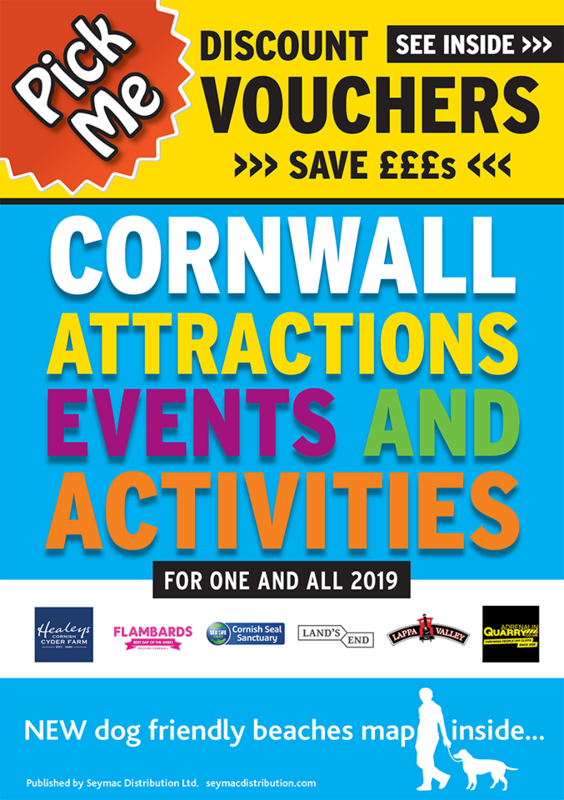 Enjoy the best of Cornwall. Freshly prepared home made sandwiches, breakfast baguettes, pastries, cakes, coffee and freshly squeezed juice. A popular market set right in the heart of Falmouth on the traffic free Moor area. Fresh produce ranging from meats, fish and dairy to breads, cakes, nuts and spices. Family run independent Garden Centre, established in 1986, that specialises in customer service. The St Ives Fishermen's Co-op is situated on The Wharf. It overlooks the harbour where many boats have been moored over the years. On 14 August 2005 the first fishing tackle shop opened in Liskeard - Fishing Mayhem. To provide quality health & beauty services at affordable prices. Biographies are not just for the rich and famous. YOUR life is special. Special to you, your family, friends and future generations. Let it live forever – in your very own book! Goldenbank Nursery Garden Centre is a garden centre located in Liskeard in the county of Cornwall. Chris and Liz's mission is to provide unparalleled customer service and to dedicate ourselves to achieving the best possible shopping experience. Produce on sale includes meat, eggs, cakes, pasties, chocolates, pies. Situated in the beautiful historic fishing port of Looe, we are here for all your Boating / Sailing, Clothing & Fishing needs. Providing quality local produce including poultry, meat, eggs, sausages, ham, bacon, vegetables, fruit, herbs, ice cream, cheese, mustard's, chutneys, bread, cake and more. Refreshments available. Lower Kenneggy nurseries specialises in plants ideal for the Cornish coastal garden. We have been in business for over 60 years and as a result we can offer you, our customers, a wealth of experience and expertise. Situated in a prime position on the edge of the quay, in an area called The Drang. The South West's biggest and best indoor market with over 70 stalls and a quality Food Hall with Farm Shop, Butcher, Fishmonger and more! Welcome to Pentewan Valley Nurseries. Loraine and Nigel Hoar have recently taken on the nursery. Please come in and see us! We hope there is something here for everyone, it is an idyllic haven, a hideaway place full of secret paths, and unusual plants. At Skindog Surfboards we are lucky enough to have Europe's best long-boarders. Spiezia Organics, our vision, philosophy and our commitment to bring you the best quality skin care products we can. Made for Life - 100% Organic skincare made with love. St Austell Garden Centre provide our customers with the widest range of top quality products and use only the best suppliers. St Ives Farmers’ Market – a community venture to help make fresh local produce available in St Ives, Cornwall. St Kitts Herbery is a Cornish producer of deliciously scented, herbal toiletries and chocolate. Shop now for unique gifts or to spoil yourself! A hidden Cornish gem, Tartendown has a number of poly tunnels housing the vast variety of plants. The Corner Deli specialises in a wide range of fine food and wine which include a large selection of Cornish products. Welcome to our Café and Delicatessen in the heart of St Ives Cornwall. At St Michael’s Spa and Health Club, our award-winning facilities make for a reinvigorating, rejuvenating and relaxing visit. Choose your own bear, help to stuff them, choose a wishing star and then dress them. Trelawney Garden Centre which is situated just outside Wadebridge on the A389 was founded in 1970 by Frank and Marion Danning. Treseders is a small family run nursery just off the A30 Innis Downs junction between Bodmin and St Austell, covering about 3 acres in the heart of Cornwall. We are a family business established in the 80's that has successfully traded in the locality for over 30 years. Welcome to Trewithen – an historic, privately-owned Cornish estate with beautiful gardens famous for their plant hunter origins, royal connections and astonishing variety of species. A visit to the Farmers Market is a must when shopping in Truro. Providing high quality bass fishing products, guided UK bass fishing and escorted bass fishing trips around the globe from ukbassfishing.com. A selection of cakes, fresh vegetables, eggs and other local produce together with arts and crafts. Zuma Jay is one of the longest established surf shops in Europe and we pride ourselves on our knowledge and advice.